Suunto D6i is an advanced wristop dive computer designed for demanding divers. 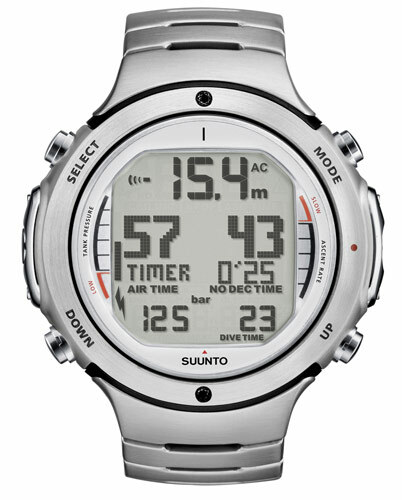 The three operating modes, gas-switching functionality, integrated digital compass, and the Suunto RGBM deep stop algorithm combine to make it one of the most feature-rich and versatile dive computers available. New data cable included. What's new on the Suunto Dive Computers D6i? In addition to having mode-specific information available to you at all times, your Suunto D6 records and stores data for later analysis. You can view, compare, and analyze your diving performance through the downloadable Suunto Dive Manager PC software.